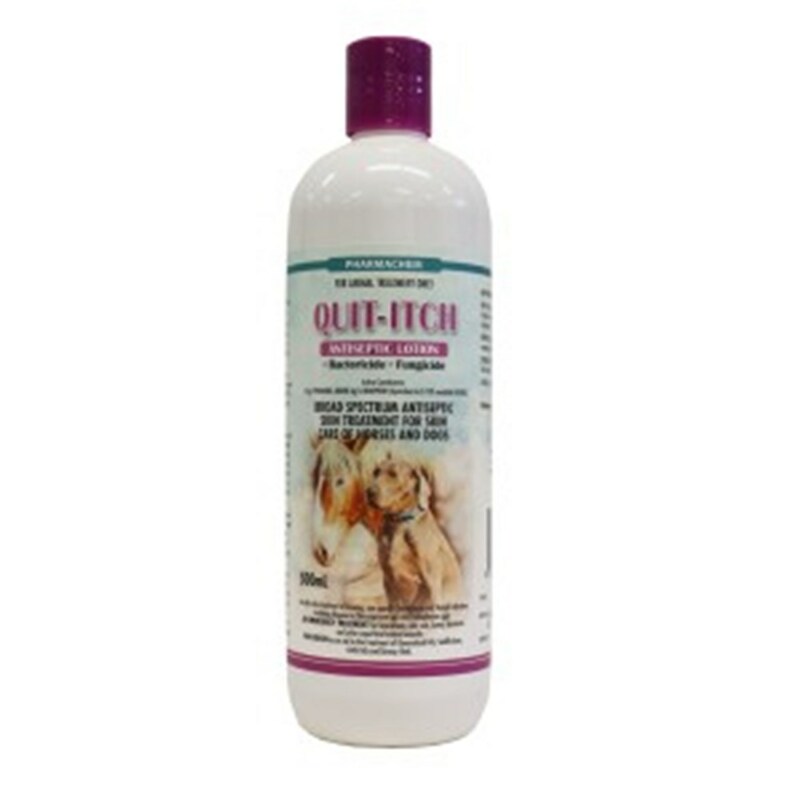  Broad spectrum antiseptic skin treatment for skin care of horses, dogs and cats.  An aid in the treatment of Queensland Itch, saddle acne, girth itch and greasy heel.  Can also be used for emergency treatment of lacerations, wire cuts, burns, abrasion and other superficial wounds. 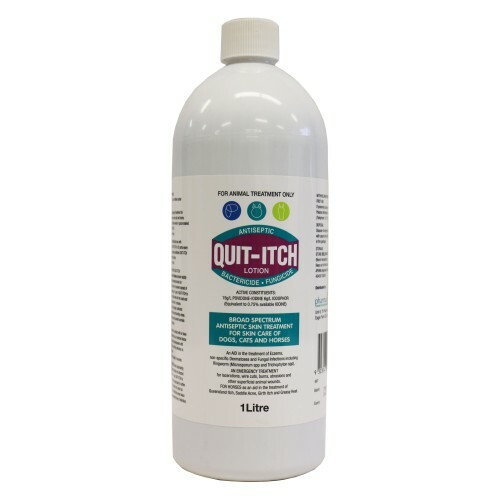 Thank you for your review of Quit-Itch Lotion - 500mL.